Voltorb is an Electric type Pokémon introduced in Generation 1. It is known as the Ball Pokémon . The effectiveness of each type on Voltorb. In Generation 1, Voltorb has a base Special stat of 55. In Generations 1-4, Voltorb has a base experience yield of 103. Usually found in power plants. Easily mistaken for a POKé BALL, they have zapped many people. It looks just like a Poké Ball. It is dangerous because it may electrocute or explode on contact. 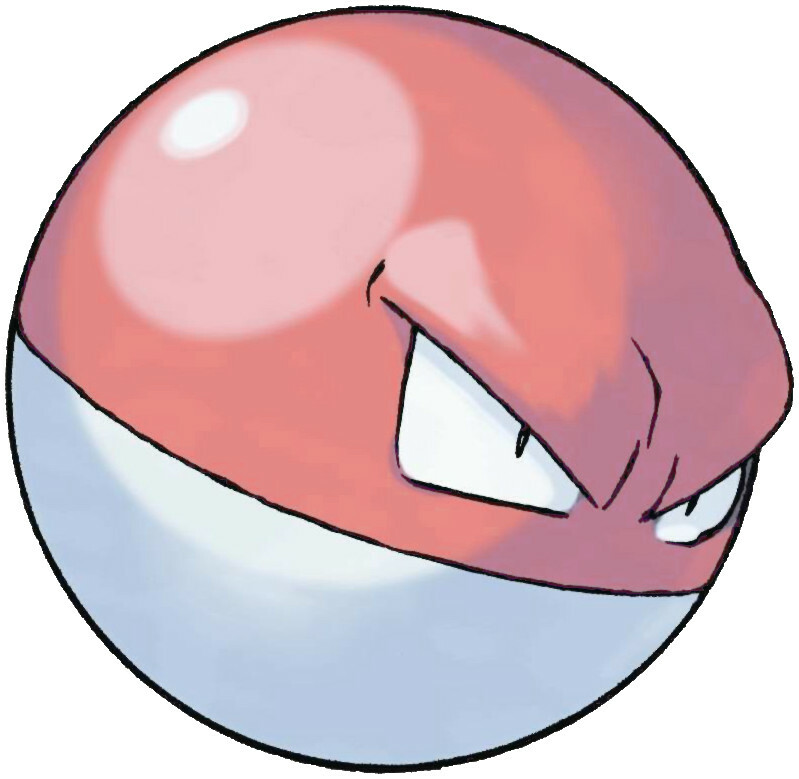 Voltorb is extremely sensitive—it explodes at the slightest of shocks. It is rumored that it was first created when a Poké Ball was exposed to a powerful pulse of energy. Voltorb learns the following moves in Pokémon Let's Go Pikachu & Let's Go Eevee at the levels specified. Voltorb learns the following moves in Pokémon Ultra Sun & Ultra Moon at the levels specified. Voltorb does not learn any moves by breeding in Pokémon Ultra Sun & Ultra Moon. Voltorb can only learn these moves in previous generations. It must be taught the moves in the appropriate game and then transferred to Pokémon Ultra Sun & Ultra Moon. Is voltorb a living Poke Ball ? Which pokemon can be obtained from voltorb filp? I have alreday got a dratini can you also get other items? How many levels of the Voltorb Minesweeper are there in HG/SS? Is the breeding for voltorb special?